Our goal at Habersham is to make the process of building your new home pleasurable and fulfilling. As easy as it is to fall in love with the natural beauty and charm of Habersham, we want our clients to remember their journey to realizing a custom home to be a remarkable life experience. At Habersham Properties, we guide our clients through the building process in four easy stages from finding the ideal plot of land, selecting a house plan from a vast portfolio of designs, working with an architect to customize your new home and, finally, pairing you with a member of the Habersham Home Builders League that shares your vision to take the home from concept to reality. As a GuildQuality Guildmember, Habersham relies on our customer surveying to help them deliver an exceptional customer experience. Read what surveyed customers have said on behalf of Habersham. Moser Design Group, Inc. is a neighborhood and residential design firm dedicated to promoting well designed traditional homes and communities and supporting Smart Growth through New Urbanism. In the tradition of the great American architects that have come before us, we design homes with soul and heritage, based on architectural principles of scale, proportion, and historical precedent. From conceptual drawings through construction administration, our Custom Design Process leads clients to a true manifestation of their dreams, with details, charm, and character you’d expect from Stephen Fuller Designs. An internationally recognized award winning architect and planner leader in New Urbanism, Tom’s urban design work includes plans for new villages, neighborhoods and towns as well as redevelopment plans. Prior to establishing his consulting practice in 2013, Tom served as Partner with DPZ for 21 years, where he opened their Charlotte office in 1995. One of the first in the movement, he pioneered designs including the VILLAGE OF HABERSHAM for walkable, connected, mixed-income, mixed-use, neighborhood, town, and city design—practices now common. He has conducted over 150 muti-day planning charrettes. Through his own initiatives Tom elevates the quality of our built environment through his Civic By Design forum, integrates sustainability with community design through Light Imprint, advocates for better school campuses through Learning Cottages and engages communities through hands-on design collaboration with MIXOPOLY. Follow them on Facebook and Twitter. The end result is that our homeowner’s dreams become reality, and now they too enjoy a distinctive coastal home in the beautiful Lowcountry. 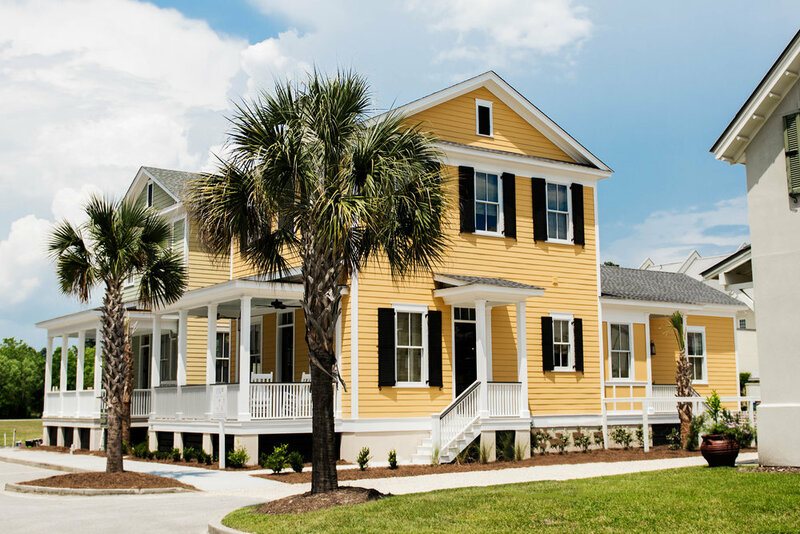 Through finite design detail, WaterMark Homes has become a preferred custom home builder to Beaufort residents. We look forward to earning your trust as well. Paul Harms grew up in the western suburbs of Chicago, Illinois. From an early age he was fascinated with houses; not only in terms of design, but by how they were lived in. He earned a Bachelor of Architecture degree from the prestigious School of Architecture at the University of Miami in Coral Gables, Florida; an institution dedicated to smart growth principles and classically-inspired design. Paul’s career, and life, has always revolved around houses. He started working on high-end renovation projects on Chicago’s North Shore. Then, intrigued with the concept of New Urbanism, Paul joined Urban Design Associates in Pittsburgh, Pennsylvania, to help create the architectural landscape of several new buildings and neighborhoods. Next, Paul joined well-know designer Eric Moser at Moser Design Group in Beaufort, South Carolina. It was at this coastal location, in the beautiful community of Habersham, where he was inspired to create his own firm, LiveWell Home Design. While Paul Harms has designed houses all over the country, a good concentration of LiveWell homes can be seen in Habersham, an idyllic community located near historic Beaufort, SC. The Habersham Home Builders’ League facilitates the construction of homes consistent with the development and design goals established for Habersham. The League is comprised of builders, architects, designers, craftspeople, and artisans who share a common belief that quality of design and craftsmanship are integral components of creating superior environments for people to live, work and play. The League focuses its efforts on establishing the highest standards of quality for design, craftsmanship and customer service available. The HHBL’s intent is to help match our new owners with a professional-caliber builder, well versed in the architectural requirements and design goals of the Habersham Architectural Review Board, that will provide the highest possible customer satisfaction during their construction experience in Habersham. Allen Patterson Residential, LLC Allen is a third generation Beaufort builder descended from Colonel John “Tuscarora Jack” Barnwell. 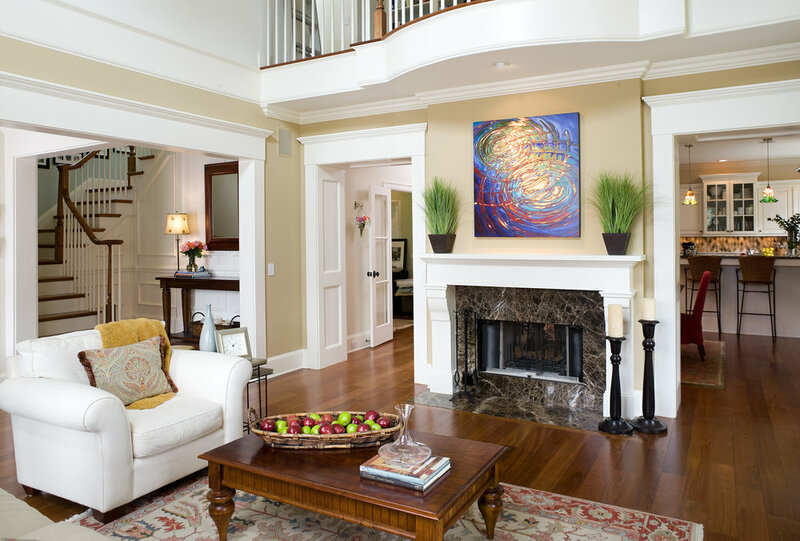 He has built or remodeled over 150 homes since he founded Allen Patterson Residential in 2004. His specially and passion are the neo-traditional homes neighborhoods such as Habersham. Allen Patterson Residential uses an online project management system to improve client communication. It can help homeowners manage their budget, selections, and schedule. At Allen Patterson Residential, we pride ourselves on our quality workmanship. Our mission is to build quality custom homes at an affordable price. The moment you step through your front door, Allen Patterson Residential wants you to feel you have come home. Brant Construction, Inc. was established in 2002 and is a family owned custom homebuilder that brings experience, skill, ingenuity, and commitment to all of its projects. They have built over 40 homes ranging in size up to 6000 square feet; many of which are located in Habersham. No matter the size of the home, quality and attention to detail are the end result. Only the best products are used for construction and future maintenance is always a consideration. Brant Construction believes that good communication with clients and subcontractors helps ensure the quality product for which they are known. Knowing that their current clients will be future neighbors and friends, they are committed to a smooth building process by exceeding client expectations and meeting project budgets and construction schedules. Chandler Trask Construction upholds the traditions and values of integrity, commitment, reliability and quality. Years of experience have forged strong working relationships with the most professional craftsman, subcontractors and suppliers in Beaufort County. Chandler Trask Construction specializes in custom new construction, bathroom & kitchen remodeling, renovations, additions and outdoor spaces. The Front Light Building Company is dedicated to building houses with top-quality construction standards and creating living environments that promote healthy, meaningful and engaging lifestyles. Our top priority is to serve our clients’ needs through our commitment to craftsmanship, quality and community. Our team brings more than 60 years of combined experience in the homebuilding and design industry. Front Light is committed to craftsmanship—which encompasses environmental stewardship, masterfully maximized space planning, high quality construction and energy efficiency. These standards, plus Front Light’s commitment to economic value and affordability are what enable us to build superior homes. Gooding Contractors, Inc., has been a member of the Habersham Home Builder’s League since 2004. Co-owners Brad Bowden and Lance Gooding both come from backgrounds in family owned and operated General Contracting Companies and bring their grandfathers’ and fathers’ skills and values of honest and personal involvement to the construction process. Gooding Contractors’ key to success is their relationships with clients, architects, engineers, and subcontractors. These relationships develop and evoke trust and confidence within the construction team and lead into an innovative project management approach. Both Brad and Lance are dedicated to the traditions they come from and to the community and customers they and their team serve. Leo Gannon Kim Quixell and Larry Naylor, the founder of Seaway Development, have joined forces in the formation of Group 133, INC. The group is continuing the tradition of fine homebuilding with attention to all the details. In the past few years, Leo has completed more than a dozen homes in Habersham and each one has its own unique finishes and details. His resume includes the 2001 Coastal Living Cottage here at Habersham. Vala Building and Design was created by Henry Vala in 2005. Working as a carpenter, construction manager and then business owner for over 28 years and after completing hundreds of homes, Henry’s unique philosophy has developed: It is his belief that a homebuyer’s and homebuilder’s goals should naturally be aligned. He believes homes should last for generations, be built on time and within budget. Homes should also surpass the buyer’s expectations upon completion and for years into the future. With Vala Building and Design, hands on experience, consistent on-site management and the highest level of quality from design to completion are always a guarantee! WaterMark Coastal Homes, LLC co-owners Jeff Thomas and Marc Hayward stress personal involvement during every stage of development providing the homeowner with a single source for design, pricing and construction. This design/build approach streamlines the homebuilding process for the buyer. Jeff and Marc are committed not only to satisfying each client, but also to the continued beauty and success of the Habersham community – both as residents and as builders. With professional backgrounds in architecture and construction, including the design and production of more than 100 homes in the Atlanta luxury home market, clients have the peace of mind in knowing that no detail will be overlooked. The end result is that the homeowner’s dreams are a reality.